As if the story of Gypsy Rose Blanchard couldn’t get any more unique and interesting, another legal case could be underway. However this time Gypsy’s the one potentially pressing charges. 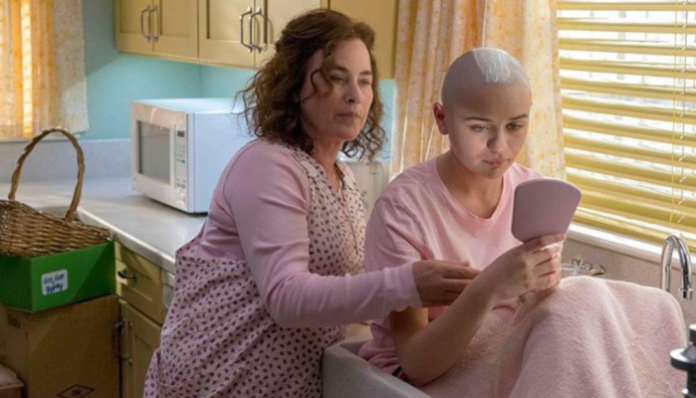 The convicted murder accomplice, Gypsy, and the Blanchard family are seeking legal action to sue Hulu over the show they created based on her life and the death of her mother, Deedee. Each episode says that it’s based on a true story, but some situations may be exaggerated. It’s right there in every episode. Yet, the Blanchard family is not happy with this little disclaimer. They say it’s not enough for them. Gypsy, her father, and stepmother are extremely unhappy because they say that “The Act” is not an accurate depiction of Gypsy and her mother. Kristy Blanchard, Gypsy’s stepmother, said they tried working with the show’s producer. Blanchard claims producers promised profits would be placed into an account for Gypsy. Now, Kristy Blanchard says that Michelle Dean, a journalist and the shows creator, has blocked her on everything from her phone, email, and all social media contact. Dean claims she is the only person that has legal rights to the story, and that she’s even working with the Godejohn family at this point. Enraged, Blanchard even reached out to Hulu, just to have her letter returned. She says that she feels that the producers of the show don’t care who they’re hurting, as long as they’re getting the publicity. This is a twisted case that has just progressively become more tainted, and more out of hand. By the end of all of these stories, we have to go back to the fact that the only true stories lie with Deedee, Gypsy Blanchard, and Nicholas Godejohn. This isn’t the first time their story has been explained on camera. HBO’s documentary film “Mommy Dead and Dearest” focused on details of the case famously premiered in 2017, bringing international attention to the case. Gypsy Rose Blanchard endured a completely unbelievable, crazy, and abusive life, and that’s undeniable. Her mother Deedee Blanchard had fabricated numerous health conditions to gain attention, earn sympathy and help from others. She convinced everyone, including her daughter and doctors, that she had leukemia, muscular dystrophy, epilepsy, asthma and poor vision. But, Gypsy was actually a healthy girl subject to multiple surgeries, medications and a wheelchair. The medications even caused her teeth to fall out as a side effect. To keep physicians from noticing glitches in Gypsy’s medical history they would often move cities so she wouldn’t be caught. Deedee even went so far but to convince doctors of her diseases and having them prescribe her with medications for illnesses they didn’t even check her for or or diagnose her with. Deedee had one of the worst cases of Munchausen by Proxy that this world has ever seen. Munchausen by Proxy is a disease mental disorder that involves a parent exaggerating, inducing or making up illnesses for a child that is not actually sick. Eventually, her daughter Gypsy had enough. She met a man online and fell in love with him. Nicholas Godejohn promised Gypsy that he would save her from anything, including her mother. However, his way of saving her was a little bit unconventional. He murdered Deedee Blanchard after learning about everything that she put Gypsy through. Countless documentaries and articles have tried to help us understand exactly what happened that night. People want to know what happened to Gypsy, what she went through, how they managed to pull it off, what Gypsy actually knew, what she was capable of, her innocence, or her guilt. There’s also a great debate as to if she hadn’t been educated enough to make adult decisions to know if this was wrong or not because her mother had sheltered and manipulated her to horribly. But after all is said and done and she finishes her ten year sentence for second degree murder (a charge she pleaded guilty of), will Gypsy ever be able to have a normal life? It’s difficult to say because there’s still so much more to learn psychologically from this case. Luckily for us viewers who have been following her story, it seems to be far from over.